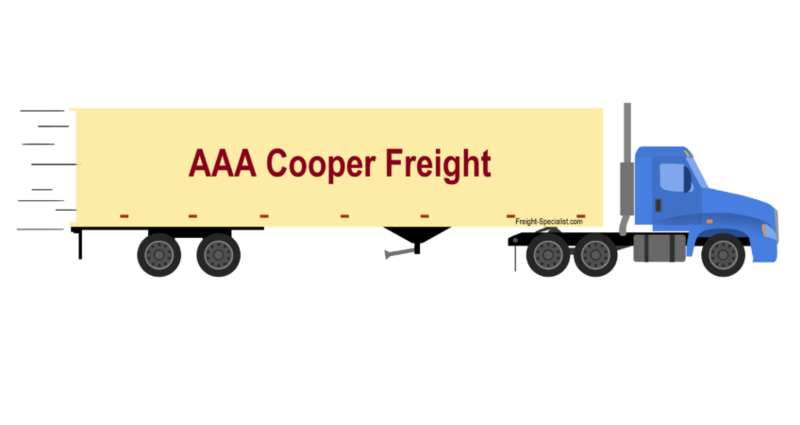 Through an excellent partnership with AAA Cooper freight, we are able to offer shipping services to the lower 48 states. AAA Cooper freight rates are among the most competitive in the LTL freight industry. Albeit AAA Cooper is a regional carrier, they do have a complete presence in 12 states. AAA Cooper shipping has a partnership with other major carriers to service the remaining 38 states. AAA Cooper excellent shipping services for LTL is due to its commitment to customer service and timely deliveries. Freight-Specialist offer’s an 85% discount with AAA Cooper. In addition to serving 11 states in the southeast, AAA Cooper Trucking Service also offers truckload and dedicated truckload services for highly traveled routes such as Florida to Texas. AAA Cooper Volume LTL rates using are aggressively priced. Like many other carriers, AAA Cooper seeks to lower “deadhead miles” by offering excellent backhaul rates. Therefore it is at these times that excellent opportunities arise for volume LTL shippers. This occurs solely because LTL carriers must do asset relocation to areas that are more desirable for freight. AAA Cooper has terminals that service every metro area in 12 states. The twelve states include Alabama, Arkansas, Florida, Georgia, Kentucky, Lousiana, Mississippi, North Carolina, Oklahoma, South Carolina, Tennessee & Texas. Along with their own terminals and affiliates, AAA Cooper offers a seamless LTL shipping experience. As a result of this partnership, AAA continues to receive accolades year after year for their outstanding service. In order to facilitate pickups, AAA Cooper offers easy online BOL generation. At any rate, Freight-Specialist always provides a BOL for all shipments generated by our company. In addition, we strive to help our customers with the NMFC and proper freight classification. In summary, working with AAA Cooper through Freight-Specialist is not only easy but stress-free. Call us today and request a rate with AAA Cooper and we will provide the best rate we can.